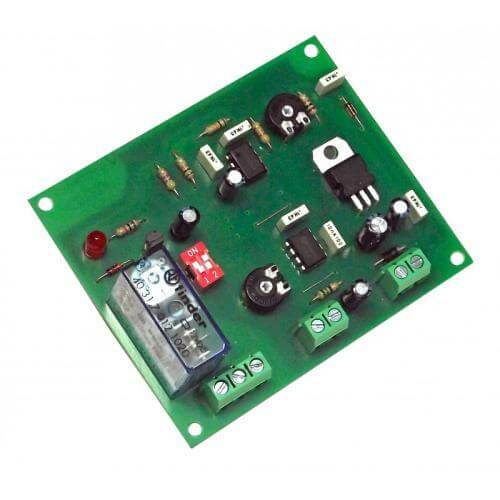 Voltage drop detection module (7-18Vdc) with a mains rated relay output. Simply place in parallel with the power supply to be monitored. The relay output activates when the voltage drops below the trigger level (user adjustable from 7 to 18Vdc using onboard trimmer). Applications include low battery voltage warning. Model CI171 offers a detection range from 16 - 28V dc.